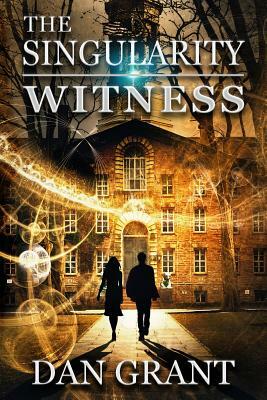 The Singularity Witness explores an intersection of science and medical research, and what happens when a radical technology ushers in an ominous future. Thomas Parker, Princeton professor and neurologist, and FBI Agent Kate Morgan unlock secrets that start with murder, abduction, and inhumane research. When a research lab disposes of its test subject and kidnaps a U.S. Senator to protect its secrets, those events trigger a federal investigation. The covert program requires the services of Thomas Parker to deliver its breakthrough achievement. And FBI Agent Kate Morgan needs Parker to help her infiltrate the covert lab. What they don't know is that the senator's abduction was orchestrated by Stewart Richards, who is obsessed with creating The Frontier--neurological singularity. To Richards, no sacrifice is too great for a cause that brings him world-wide recognition and unravels the mysteries of the mind. Together, Parker and Morgan are faced with the dilemma of advancing the revolutionary technology in order to solve the senator's abduction, save the singularity witness and others, and survive. Who is The Singularity Witness? Read the book to find out.